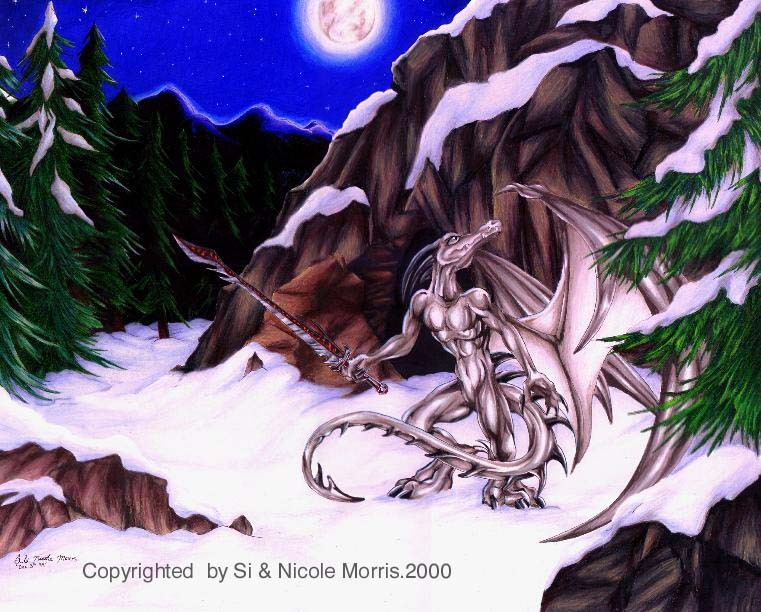 an illustration of a silver draconian holding a runesword in snow covered woods.a rocky cliff with a cave is behind him. 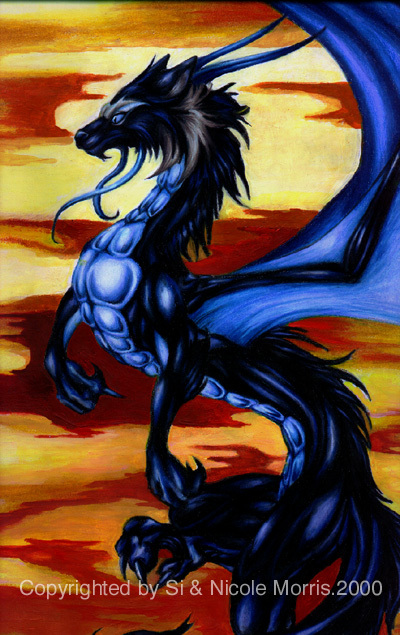 an image i did of a wolfish draco.black fur,winged,his face like a wolf.background its like a sunset done with watercolor. 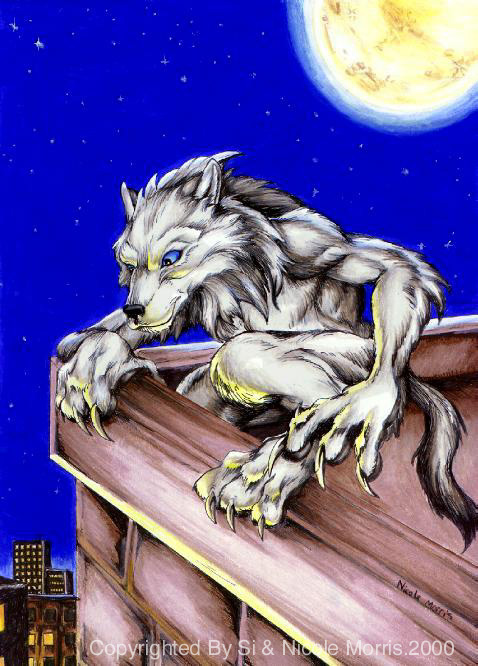 this is a pic of a white werewolf atop a rootop overlookin the city below,fill moon high above in the starry sky.